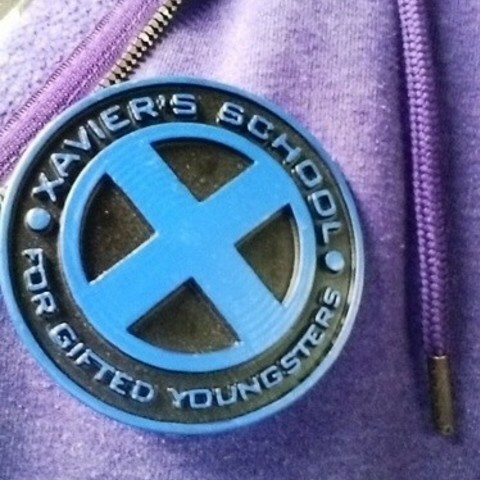 Opened by Charles Xavier as a school for mutants to learn to control and harness their powers, the school also maintains numerous outreach programs to non-gifted humans. 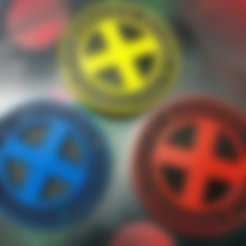 Acting as the de facto home of the X-Men, and numerous other mutant super-hero teams over the years the school has also gone through a number of name changes. -=Design=- This pin was designed in blender off the logo displayed in the X-Men comics for Charles' school. I've included a small notch in the back so you can easily attach a standard pin fastener to the badge and wear it. -=Finishing=- I printed my copy in ABS and then used hot acetone to smooth the badge. 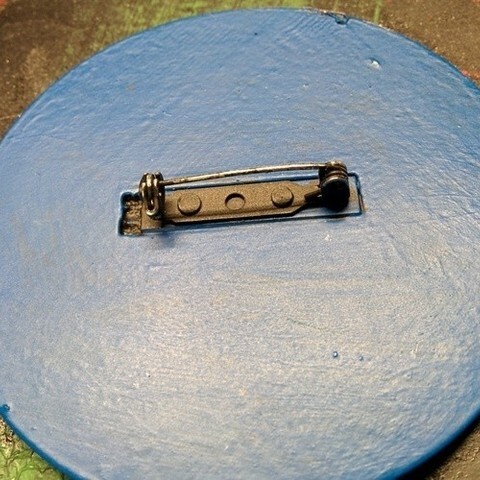 I then primed the pin black and carefully painted the top layer in the older X-Men colors using acrylic paint. Once this dried the badge was coated with a matte finish sealer, and a rectangular pin backing from a local craft store was attached to the rear using super glue.